For the Land Rover and Adventurer fans, I presume Bear Grylls is no new name. 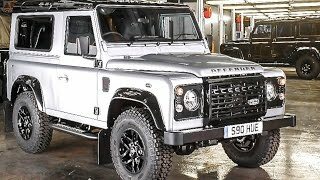 The man with the special team tighten up his shoelaces to build of 2 million series Land Rover; the Land Rover Defender 2 Million 2015. To be sold in a charity auction at Bonhams auction house on December 16 this year, the model is created to pay tribute to the decades of Land Rover production in Solihull plant, UK. Let us have a look at the review of Land Rover Defender 2 Million 2015 to know more about it. With an intention to donate the proceedings to Land Rover’s humanitarian and conservation partners this unique piece is all set to rumble in December. With this company is giving its fans to buy a remarkable piece which is created by the impeccable team, which includes life-long Defender fans including Bear Grylls. While the people are very much excited to have this one-of -its kind model we would share with you some of its distinctive facts. Looking at the Land Rover Defender 2 Million 2015 you’ll feel like having a glimpse of bouquet of class. To me the best amalgamation is with the map of Red Wharf bay, this particular inclusion was first created over sand and then encrypted over aluminum fender. At the back you’ll have ‘no 2,000,000’ badge mirrored on the interior of Land Rover Defender 2 Million 2015. The touch of finishing for the design is with Santorini Black wheels and arches, roof, door hinges, grille and mirror caps. Rounding up the exterior of Land Rover Defender 2 Million 2015 will march ahead to the interior. 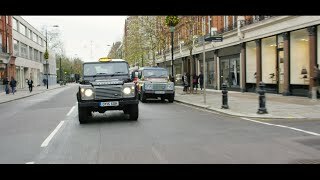 Just the exterior of Land Rover Defender 2 Million 2015, interior is equipped with leather seats featuring ‘Red Wharf Bay’ and ‘no 2,000,000’ logos on them. The most interesting factor while talking about the interior of Land Rover Defender 2 Million 2015 is the bespoke aluminum plaque, which comes signed by that every person who helped to build this model. 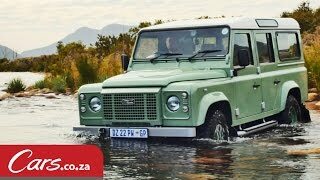 Rounding up the details of Land Rover Defender 2 Million 2015 l I would say is I’m speechless. It’s truly amazing and beyond comparison. Being not in the list (though we can’t even afford) we can simply wait to see, who the lucky buyer is.